HT29 human intestinal epithelial cells grow as a multilayer epithelium indicative of compromised contact-inhibition of growth (a). It lacks tight junction and express very low levels of occludin (b & c). 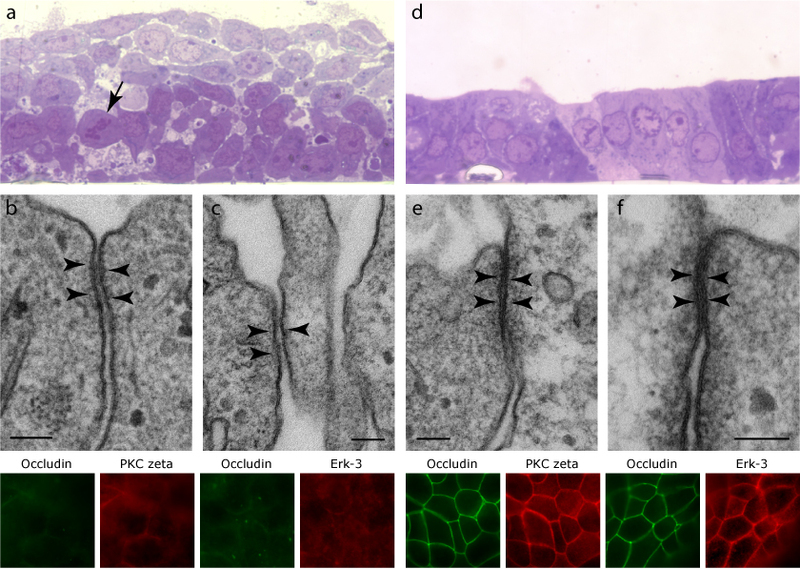 Exogenous expression of occludin induces tight junction formation and reverts the epithelium to a normal monolayer (d-e). Occludin expression also rescues localization of tight junction proteins PKC zeta and ERK3 (f). Arrows point to cells in mitosis. Arrowheads point to apical junctions.